If you are an artist, you know how frustrating it can be to work with pen and paper. Fortunately, you can use technology to improve your drawing experience. 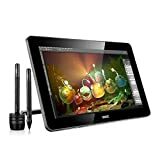 With a drawing tablet, you have an electronic pen and digital working surface that makes drawing and editing simple. As you probably know, there are many drawing tablets on the market today. Some, of course, are a better investment than others. How do you know the difference? That’s where we come in. In this article, we review tablets from a popular electronics manufacturer, Ugee. Our goal is to provide you with a reliable ranking of the best Ugee tablets. Before discussing which devices we think are a worthwhile investment, we want to be sure you have answers to some common questions. 1. 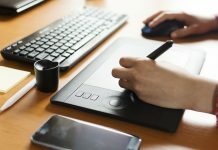 What Is a Drawing Tablet? Tablets are personal electronic devices. Not all tablets perform the same function, though. Drawing tablets are a special type of tablet that allows you to sketch and design. They often come with an electronic pen, although some manufacturers require you to purchase the pen separately. 2. What Is a Ugee Tablet? Shenzhen Ugee is a manufacturer of tablets. The company’s drawing tablets are affordable devices for beginner artists. 3. What Do Ugee Tablets Do? Ugee tablets allow artists to create drawings and other designs. They connect to independent computers with a USB cable and feature a drawing screen, pen and other creative functions. 4. 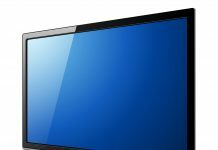 How Much Do Ugee Tablets Cost? New Ugee tablets sell for between $50 and $60. You can also buy a refurbished device for significantly less. How much you pay for your Ugee tablet depends on the model and its functionality. We discuss the overall price range of Ugee tablets in greater detail later in this article. 5. Where Can You Buy a Ugee Tablet? You may choose to purchase a new Ugee tablet online or in a conventional electronics store. If you choose to shop online, you may want to use a third-party site, such as Amazon. You cannot currently buy Ugee tablets from the manufacturer’s site. When compiling our rankings, we didn’t only consider published materials about each tablet. Instead, we read through dozens of reviews from both professionals and actual customers. We also assigned each device with a rating on a five-point scale. Note, though, that these ratings simply show how Ugee tablets compare to each other. You should not use our rankings or rating system to compare Ugee devices to other drawing tablets. Instead, consider looking at a ranking of the best drawing or graphics tablets. Ugee tablets are affordable devices. As such, they are often go-to tablets for beginners. All the Ugee tablets we reviewed sell for between fifty and sixty dollars. When you buy one of these devices, you don’t only get a tablet. You also get a comfortable stylus that is ready for you to use. All devices also come with an excellent user’s manual, making understanding your new device a breeze. In our rankings below, we provide you with pricing information for each Ugee tablet. Remember, however, that prices change frequently. As such, try to use the pricing information as a general guide only. If you want real-time pricing details, check online or at a brick-and-mortar store. It isn’t often that we get to review every product listed on a manufacturer’s website. With Ugee, however, that’s exactly what we did. We looked at each of the four drawing tablets currently for sale. While these are all beginner devices, we compared them to each other. Read on to see how we think each measure up. The Ugee M1000L is a digital-pen drawing tablet for beginners. This tablet has an impressive 10-inch by 6-inch drawing screen, which is large enough to complete a variety of projects. It hooks into your computer using a USB connection. This is common to all Ugee drawing tablets. We like the M1000L for its pressure-sensitive drawing surface. When you use the included pen, you benefit from 2,048 pressure levels. Not only does pressure drawing help you get more accurate drawings, but it also conserves the surface of the tablet. The pen is comfortable to use, featuring a graspable surface. It also has two customizable buttons, allowing you to use the pen in a way that works for you. On the tablet itself, you see eight hot buttons arranged on the left-hand side. You can customize these buttons to perform tasks you most commonly use. You also get 16 soft keys that increase functionality. The tablet is compatible with both Windows and Mac computers. It does not, however, work with other operating systems. If you use Adobe, Sketchbook, Autodesk, Correl or other drawing applications, you can expect the Ugee M1000L to run them effectively. We appreciate the included user’s manual, which tells you precisely how to use all of the functions on the Ugee M1000L. We have to struggle to find something negative to say about this device. Sure, if you are looking for an advanced tablet, this isn’t it. It doesn’t purport to be, though. Instead, the Ugee M1000L is designed to be a decent drawing tablet for beginners. It is also affordable. For us, that’s good enough to make our rankings of the best Ugee tablets available today. The Ugee M708 V2 is an entry-level drawing tablet. This device gives you a 10-inch by 6-inch working surface, with is good enough for precise and technical renderings. The included pen is comfortable to hold and offers an upgraded 8,192 levels of sensitivity. Moreover, the pen has two customizable buttons that you can use for whatever purpose you choose. Even better, the pen comes with a stand that conveniently holds the device when you aren’t using it. That’s right, with this feature, you don’t have to constantly search for a misplaced pen. If you care about the external appearance of your drawing tablet, you will like the Ugee M708 V2. This tablet comes in both black and white, giving you the opportunity to choose the color that best matches your existing setup. We like this tablet for its eight user-defined controls. Whether you want to assign special effects, a quick erase, a back button or another function, you can quickly and easily do so with the Ugee M708 V2. This tablet works with both Windows and Mac computers, although it doesn’t integrate equally with the two operating systems. If you use your Ugee M708 V2 with a Mac computer, you get full access to a variety of programs, but you lose support. Meanwhile, with Windows, the suite elements are there, but you get a less-effective interface than you do with Mac compatibility. If you are looking for an affordable starter tablet, the Ugee M708 V2 is worth a look. 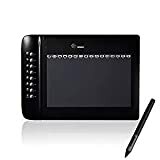 This tablet easily runs Adobe Illustrator and other programs from the Creative Cloud. 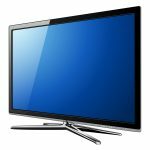 If you prefer a different program, the Ugee M708 V2 is compatible with most of the latest design applications. For novice graphic designers, the Ugee HK 1060pro is an affordable drawing tablet. This tablet features a remarkable 10-inch by 6-inch drawing screen, which is larger than other tablets in the price range. Importantly, the tablet has a pressure-sensitive screen. In fact, you get 2,048 levels of sensitivity with the Ugee HK1060pro. That’s more than many other affordable drawing tablets. This gives you the ability to create multi-layer drawings without toggling between different screens. 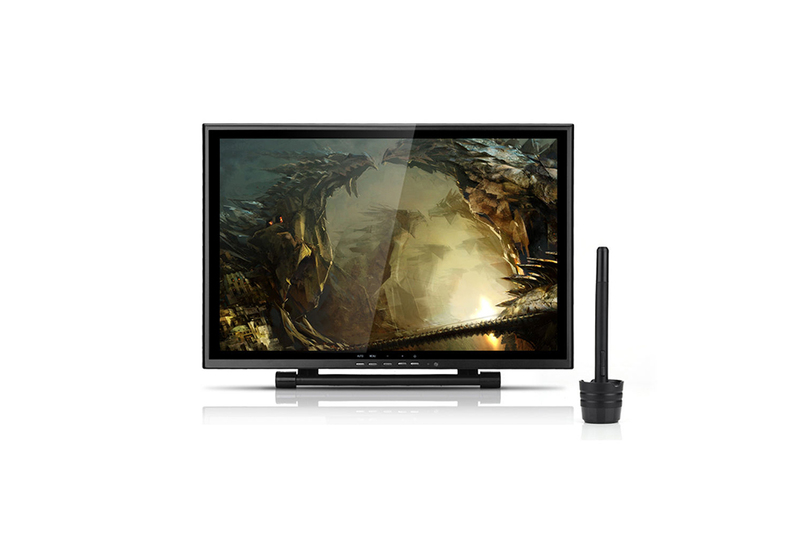 The Ugee HK1060pro is compatible with either Windows or Mac operating systems. Unfortunately, it does not support Linux or other software. Still, for most users, the Ugee HK1060pro works with existing computer setups. We appreciate the included pen with this device. Without having to invest in an aftermarket product, you get a slip-resistant pen that has two customizable hot buttons. When you aren’t using the pen, stash it on the included base. The hot buttons don’t only exist on the pen, however. The HK1060pro has eight customizable buttons. If you frequently zoom, erase, undo or change brushes, you will love setting up your device to meet your drawing style. You can also use the Ugee HK1060pro in any orientation you choose, making it a good option if you are a left-handed drawer. This device runs Adobe and other illustration software quickly and efficiently. Nonetheless, it is an entry-level tablet. If you are looking for power and options, you won’t find them here. You also may notice a slightly flimsy feel to the tablet. This is common with affordable devices. Don’t let the “pro” in the device’s name fool you. This tablet is not quite as good as the Ugee M708 V2. 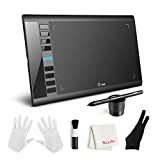 9 x 6 Inch large drawing area, 2048 levels pressure sensitivity, 5080lpi resolution, 220 RPS report rate. Suitable for right-handed and left-handed. The last entry on our list is the Ugee G3. 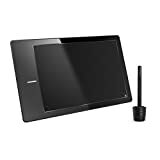 This drawing tablet is different than the other Ugee tablets on our list, as it does not include customizable hot keys. In our opinion, that makes the device inferior to the other three Ugee tablets we reviewed. Before discussing that issue further, we want you to know about some of the impressive features of the G3. We love the included drawing pen. This pen is comfortable to use and offers a two-click system to toggle between pen and eraser. Where this pen stands out, though, is with its rechargeable design. Unlike the included pens with the other Ugee tablets on our list, the pen on the G3 doesn’t use batteries. You simply recharge the pen with the included charger. We also like the drawing surface on the G3. It has 2,048 levels of pressure sensitivity, helping you create dynamic drawings. 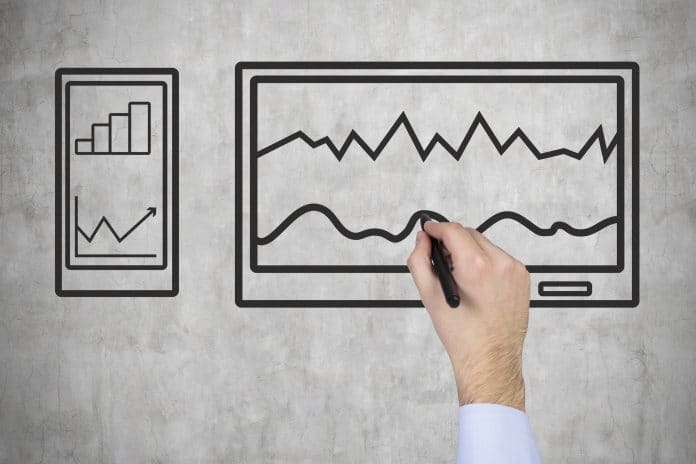 Unfortunately, the nine-inch by six-inch drawing screen is smaller than the other tablets on our list. Still, the design of this tablet is sleek and elegant. Now, back to the hot buttons. This device doesn’t have them. If you want to add special effects or undo a function, you must do so with the pen and a drop-down menu. This is inconvenient. We would like to see some hot or soft buttons added to the G3. Like the other Ugee tablets, the G3 is affordable, though. If you have never owned a drawing tablet before, you will likely appreciate the user-friendly nature of this device. If you are looking for an advanced drawing tablet, this one isn’t it. It also isn’t as good as the other tablets we reviewed. Nonetheless, it runs design software brilliantly and is compatible with both Mac and Windows. With its drawing surface, comfortable pen and cool design, the Ugee M1000L is the best Ugee tablet currently available for purchase. The device shares many common features with two other Ugee tablets, though. Therefore, we don’t think you can go wrong by choosing either the Ugee HK1060pro or Ugee M708 V2. We do, however, think the Ugee G3 is the clear loser. Regardless of the Ugee device you choose to purchase, you should know that these tablets are made for entry-level artists. If you are looking for a powerful, fully-loaded device, Ugee tablets probably aren’t your thing. Still, for a budget-friendly alternative, all Ugee tablets offer excellent drawing performance.